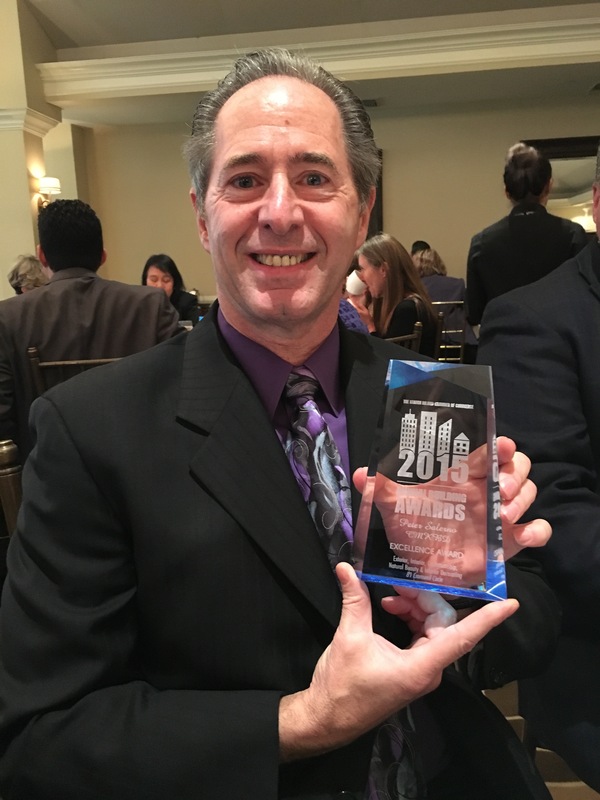 Peter Salerno Honored With 2015 Staten Island Chamber of Commerce Building Awards – Design Your Lifestyle. With a great deal of pride and gratitude, Peter Salerno (and Peter Salerno Inc.) accepted multiple awards at the 2015 Staten Island Chamber of Commerce Building Awards – including the prestigious residential Chairman’s Award. 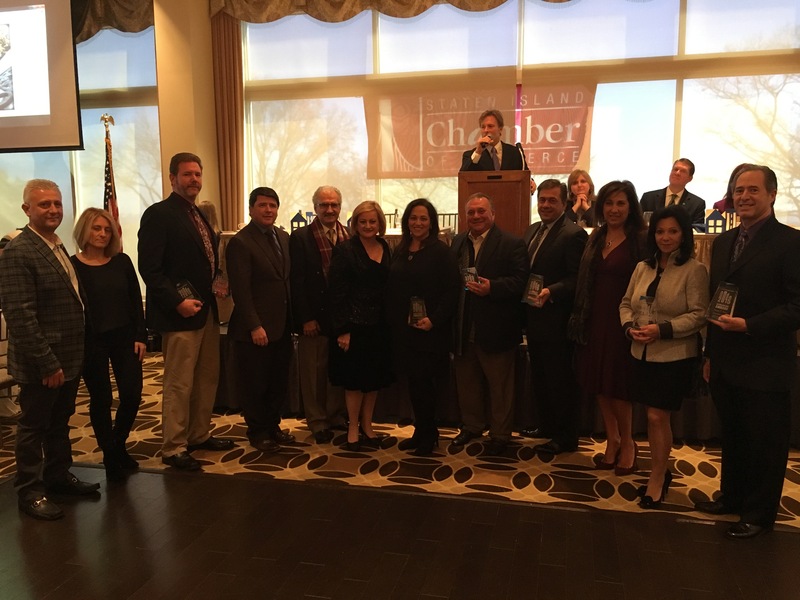 Award winners from the 2015 Staten Island Chamber of Commerce Building Awards (Peter Salerno at far right). The event, held on December 4, 2015, was the 54th annual Staten Island Chamber of Commerce Building Awards. Its stated purpose is to showcase the very best facets and features of Staten Island, including its vast array of gorgeous architecture, building and landscape designs. The focus of one of the event’s most prominent awards was the Cromwell Circle Galofaro residence in Todt Hill, a design project of which Peter Salerno (and the team at Peter Salerno Inc.) was a large part. Peter Salerno poses with his residential Chairman’s award at the 54th annual Staten Island Chamber of Commerce Building Awards. Peter’s work earned him the residential Chairman’s Award, along with Calvanico Associates Architectural & Engineering PC and Joseph J. Noce. 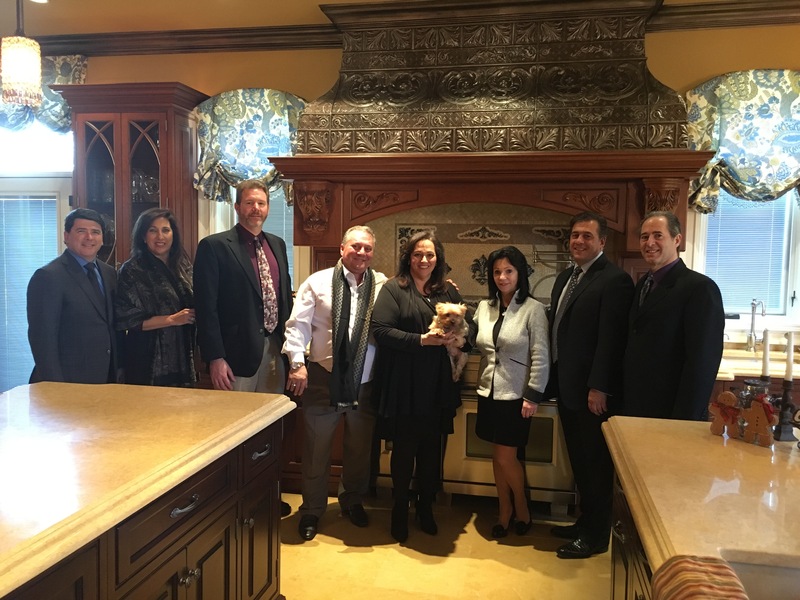 Peter Salerno was also honored by the Staten Island Chamber of Commerce with awards for Excellence in Exterior, Interior, Craftsmanship, Natural Beauty and Interior Decorating. The full list of award recipients for the Todt Hill residence project reads as follows: Homeowners, Excellence in Exterior, Interior, Craftsmanship, Natural Beauty and Interior Decorating. Calvanico Associates Architectural & Engineering PC, Excellence in Exterior, Interior, Craftsmanship, Natural Beauty and Interior Decorating. Marcia Caruselle, Excellence in Interior and Interior Decorating. Peter Salerno, CMKBD, Excellence in Exterior, Interior, Craftsmanship, Natural Beauty and Interior Decorating. Joseph J. Noce, Excellence in Exterior, Interior, Craftsmanship, Natural Beauty and Interior Decorating. Basso Landscaping, Excellence in Outdoor Space Design. P & M Carpentry, Excellence in Craftsmanship. The 54th annual Staten Island Chamber of Commerce Building Awards were held at the Richmond Hill Country Club in Dongan Hills, and were emceed by WBCS-TV meteorologist Lonnie Quinn. ← Peter Salerno Inc. Kicks Off 2015 Holiday Season in Style!